Pope Francis is urging Morocco to continue offering migrants welcome and protection, saying at the start of a visit to the North African kingdom that the global migration crisis cannot be resolved by building walls, spreading fear or denying aid. Pope Francis and Moroccan King Mohammed VI are calling for Jerusalem to be preserved as a symbol of peaceful coexistence and for Muslims, Jews and Christians to be allowed to worship there freely. King Mohamed VI welcomed Francis on Saturday as the pope began a visit aimed at encouraging Christian-Muslim ties and showing solidarity with Morocco’s ever-growing migrant community. Morocco has sought to become a voice of moderate Islam in the Muslim world. Moroccan security agents have tackled a man who broke though security and ran toward King Mohammed VI as he and Pope Francis greeted crowds during an in-tandem motorcade parade in the Moroccan capital. The incident occurred as the king was escorting Francis to the Hassan Tower complex for a formal welcome ceremony. 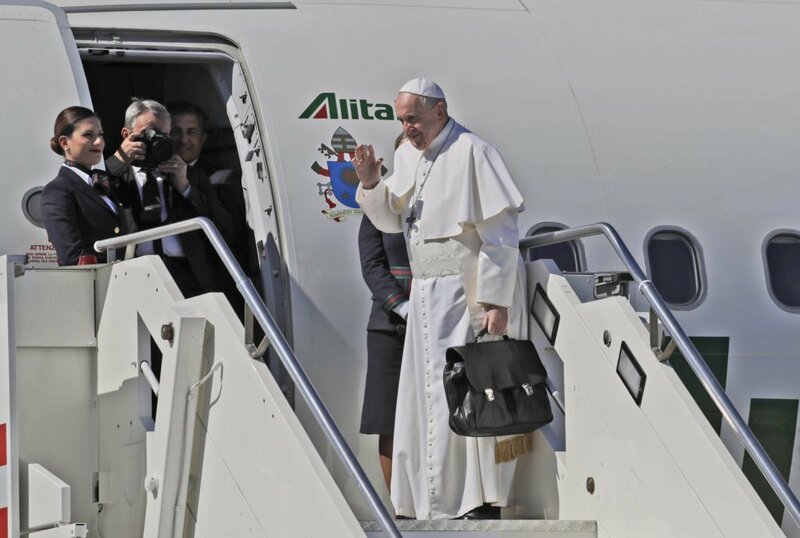 Francis will address the first two items Saturday, and the third when he wraps up the visit with a Mass and a meeting with Moroccan clergy on Sunday.